If President Trump has had one consistent message since the beginning of his campaign, it's that America is getting a raw deal in the global economy. Policy changes like import tariffs and reworking NAFTA, and the people who support them, are all part of a rising wave of populism. What’s fueling the fire? Economics correspondent Paul Solman reports. During his presidential campaign in 2016, President Trump often spoke about changing trade policies, including revamping the North American Free Trade Agreement and imposing tariffs on imports. He argued these changes would protect American jobs and the economy. That populist message struck a chord with many voters, but why? Our economics correspondent, Paul Solman, has a look at how growing public discontent has turned into a major political force. We have rebuilt China. They have taken so much money out of our country. If President Trump has had one consistent message since the beginning of his campaign, it's been that America is getting a raw deal in the global economy. Our factories were shuttered. Our steel mills closed down, and our jobs were stolen away and shipped far away to other countries, some of which you have never even heard of. Now manufacturing jobs are ticking up, the president has imposed a host of tariffs, that is, taxes, on imports and threatened more. And reworking NAFTA, the agreement that regulates trade with Canada and Mexico, is also on his economic agenda. We're going to get it opened up, or we're not doing business with these other countries, right? It's playing well with the president's base, as evidenced by a recent rally in Michigan. He's brought the awareness to getting that trade back from China. And then we're going to see undeniable results. The policy changes and the people who support them are all part of an ideology known as populism. Populism is generally a sense that the elite are corrupt and that there is a group which stands for the will of the people. Reflects to some extent a frustration with the pace of economic growth. So, slower growth than America had been used to. Second, the economic gains, however modest, have not been felt evenly across the country. The Midwestern towns that are hurting clearly, those aren't necessarily benefiting from this growth. And those swing state towns, long dependent on factories that have offshored and left them hanging, swung the election to Trump. Were the free trade policies of previous administrations to blame, as Trump supporters believe? Economist Teresa Ghilarducci says no. I don't think it was the fault of good-intentioned, good-hearted progressives. Consider how the big auto bailouts during the Bush and Obama administrations by their economic brain trusts helped the Midwest. Those regions would have fallen way — much further behind than they did. But, Paul, they still fell behind. And that falling behind exacerbated populist resentment, says economist Deirdre McCloskey, against those of us who complacently benefited from the post-industrial economy. I guess we caused it because we didn't keep up enough populist banter. And the message constantly portrayed in the media, that economic inequality was growing, made matters worse, or so McCloskey controversially claims. It's the politicians and some academics indeed and some — a lot of journalists have emphasized it, have said, oh, you poor people, your inequality has increased, which is dubiously true. I'm doing OK, not to worry. … suddenly are now alerted to their lower status; is that right? And the resulting anxiety helped fuel the populist fire. Well, maybe. But, even if not, a recent University of Pennsylvania study concluded that — quote — "Change in financial well-being had little impact on candidate preference" — unquote — and that, instead, Trump voters were moved by a loss in status, for two main reasons. The first is globalization, that Americans feel they're falling behind, as other people, mainly the Chinese, surge ahead. And that has led many Americans to despair, as highlighted by the opioid crisis in so many of the pockets of populism, or so argues University of Michigan economist Lisa Cook. I have lived in Europe and I have lived in Russia. And I think that I have seen the worst of what populism can bring. Including, says Cook, the heavy drinking that followed the collapse and loss of international status in the former Soviet Union. All of a sudden, Russia was exposed to these global forces. What happened? Life expectancy for men fell to rates that we saw in developing countries. You could say that the opioid crisis is the same kind of crisis, sort of placating the nervousness, the anxiety that people have. So, opioids are the vodka of America? A second cause of status anxiety, according to the university of Pennsylvania study,growing racial diversity, which supposedly undermines white Americans' sense of primacy. That finding comes as little surprise to African-American economist Darrick Hamilton, who thinks it explains much of President Trump's success. If we're just going to be blunt, he was signaling to white Americans that your relative position will be restored with my presidency. Going out and voting, it's your last chance. It's your last chance to make our country truly, truly, truly great again. So, I'm coming in, and I'm your last chance with this impending demographic change of all these non-whites that are going to change the relative proportion of America. The message that voters had more to gain than lose resonated, says Teresa Ghilarducci. If a powerful white man says, I am on your side, why not take a chance? Whatever the explanation, President Donald Trump, trying to restore America's place in the world economy, has now targeted Chinese trade practices. China has promised to retaliate. And fears of an escalating trade war fill the air, stoked by President Trump's recent tweet that — quote — "When you're already $500 billion down, you can't lose." Of course, many economists say there's plenty to lose. But the president's populist supporters feel they have lost enough already to take a chance. 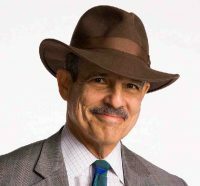 This is economics correspondent Paul Solman, reporting for the "PBS NewsHour."